As of January 1, 2019, France had almost 67 million inhabitants, precisely 66 992 699 according to the latest count of the French National Institute of Statistics and Economic Studies (INSEE). A slight downward statistical adjustment compared to 1 January 2018 was made by the Institute, which then had a population of around 67.2 million. A population that continues to grow in very large cities, but especially those in the west and south of the country. 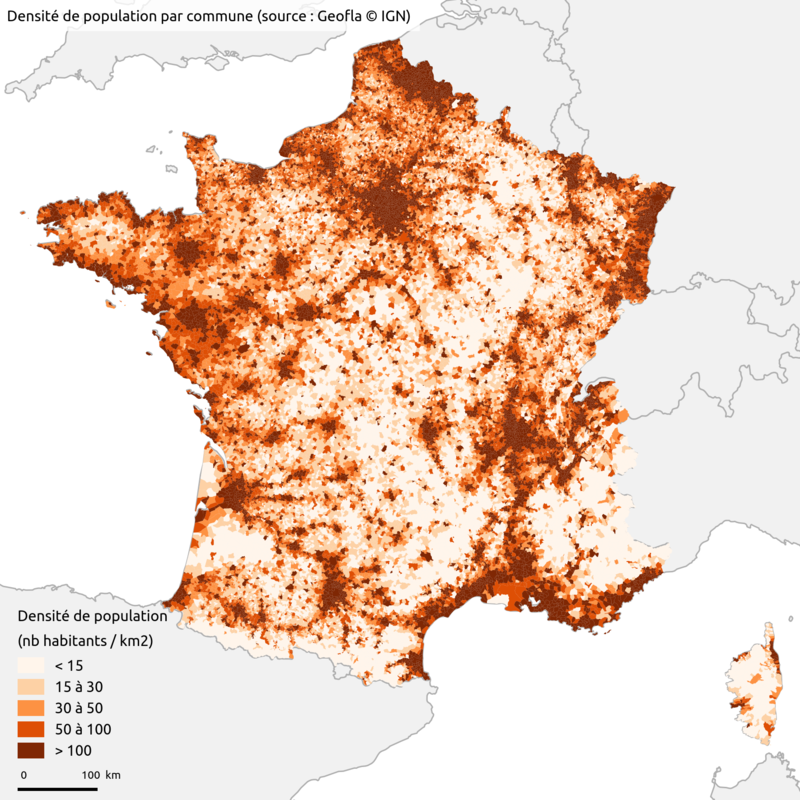 Indeed, the metropolization of France is progressing, population growth is concentrated almost entirely in a few large urban areas: Paris, Lyon, Toulouse, Bordeaux, Nantes, Rennes and Montpellier are the main urban areas that are seeing their population grow the most.